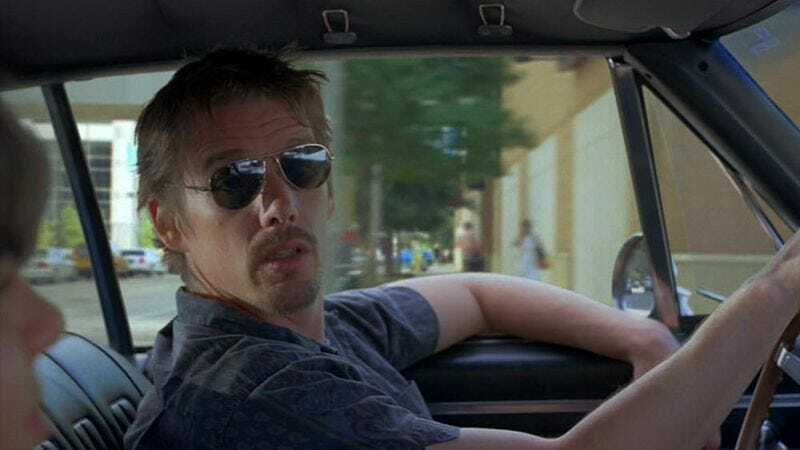 As reported by Deadline, Ethan Hawke has joined the cast of Luc Besson’s Valerian And The City Of A Thousand Planets (a title that demands to be said in full), a big sci-fi action epic that we still don’t know a whole lot about. It’s fitting, then, that we also don’t know a whole lot about the character Hawke will be playing. Besson is reportedly planning to only have five human characters in the film, so we can assume Hawke will be one of them, but there’s not much to say beyond that. The other humans will be played by Clive Owen, Rihanna, Dane DeHaan, and Cara Delavingne, with only DeHaan and Delavingne’s roles officially confirmed (they’ll be playing Valerian and Laureline, the main characters). Obviously, the whole mystery about who these actors are playing would be easier to solve if we read the original series of French graphic novels that Valerian is based on, but it’s already hard enough to keep up with all of the American comic book movies coming out these days. Like, apparently Batman and Superman aren’t friends anymore, and neither are Captain America and Iron Man. What’s up with that?